We are the hockey team of the 1. FCK (1st Football (=Soccer) Club Kaiserslautern), and we appreciate your interest in training and playing field hockey (april - september) and/or indoor hockey (october - march) with us. Surely some of you know the 1.FCK as a famous soccer club playing in the German First League (1. Bundesliga). Not only soccer but also hockey has been played under the 1.FCK for almost 100 years. In fact, we will celebrate our 100th anniversary this year, in 2012. 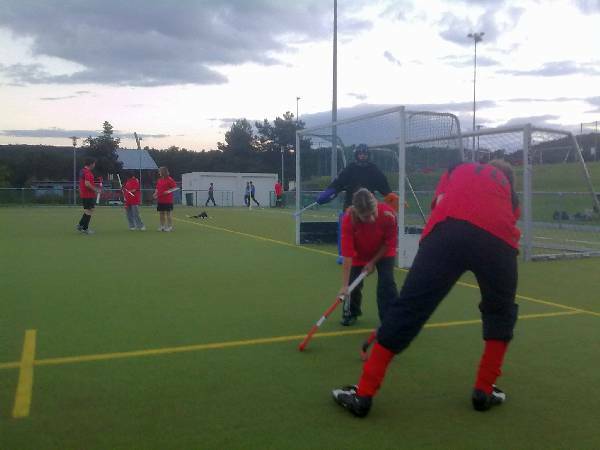 We offer children, youngsters and adults of all ages the opportunity to participate in a fun sport activity by playing hockey. You are cordially invited to train in our hockey club and become a player in one of our 1. FCK Hockey Teams. New players are always welcome. It does not matter whether you are a beginner or you already have some experience. We play field hockey (on artificial grass) from april to september and we play indoor hockey (in different sports halls in Kaiserslautern) from october to march. Our field hockey training is held on the 1 FCK Hockey artificial grass field, located in the 1.FCK Sportpark Rote Teufel (1.FCK Red Devils Sport Park). You are invited to participate (it’s up to three times free) in the hockey training corresponding to your age group (see hockey training timetable) where you can test your abilities right away and decide whether you might like to participate regularly in the training for your age group. She gives you all the necessary information about field hockey, indoor hockey, about our teams and trainers and about the different locations, where our teams have their hockey practice. For the first trainings all you need to bring is normal sport clothes and shoes. We will provide the hockey sticks and balls for the try-out. If you decide to participate regularly in our hockey training, you have to become a member of the 1. FCK Hockey Department (5,00 Euro/month for adult or 3,00 Euro/month for pupils/students including sport accident insurance) and you should buy for better protection some hockey shinguards (~ 15,00 Euro) and a mouthguard (~ 5,00 Euro). Our coaches and most of the players speak English so that communication should not be a problem. They will surely help you in learning a little hockey-German. 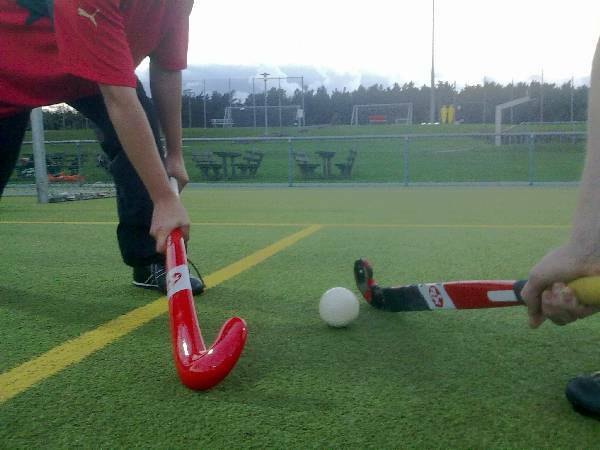 If you are interested to try out hockey sport please contact our sports-director Anke Zurke by Email, indicating your name, your age and the date you would like to try out hockey. If you enjoy playing Hockey with us and you would like to play Hockey in our teams you can join our club. As a member you are automatically covered by insurance and you are allowed to participate with our teams in the hockey championship of Rhineland-Palatinate. We offer a family membership fee of 12.50 euros (minimum three underage children). We charge a one-time admission fee of the amount of the contribution for one month. The membership fee will be debited once every year. The contribution year is the calendar year. In Germany, payment can only be made by bank-collection authorization. Members or applicants without a bank account in Germany have to pay their fee on receipt of an invoice. For process-dependent reasons, admissions are effected with the beginning of the next quarter. The membership can be terminated by 30 June or 31 december of the year. Important:please indicate in your online application the department "Hockey"
The Hockey games and competitions of our teams normally take place on the weekend (saturday or sunday) in one the following cities. Playing Hockey with us means getting to know other cities and clubs and kind of sightseeing in our region. Every club is very hospitable and the hockey clubs are glad to welcome you as their hosts. For further Information to our Hockey Camps please read our flyer.